With the largest collection of movies across all genres, Mega box Hd app is surely a wonderful application. It offers users the convenience of watching their favorite movies in HD quality. No matter when you wish to watch a movie, it is just a tap away with the Megabox app. A free online TV streaming and movie app, Megabox app has the most extensive collection of videos. Whether you are looking for old films that you grew up with or the latest flick, it is available on the Megabox. Even with so much to offer, the best part is that the application is free to use. It’s easy to use interface guarantees the best user experience. So, no matter which movie or serial you are looking for, you will be able to find it within minutes. As Megabox app is not available in the iTunes stores, it needs to be downloaded from a third party store. Don’t worry, it is possible to download and install Megabox on your iOS device if the iOS version is iOS 10+. 1. 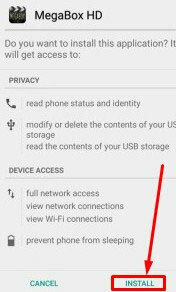 Check if you have vShare installed on your device. If yes, you can use vShare directly to install Megabox. If you do not have vShare, you first need to download and install vShare. 2. Launch vShare by tapping on the vShare icon on your device. 3. When the app runs, look for the Search Box on the top part of the app. 5. You will find a list of search results. 6. Locate the icon for Megabox HD and tap on it. 7. Once the information page of the app opens, look for the Download button. 8. Tap on the Download button to start downloading the app. Once the app has downloaded successfully, you will get a confirmation box asking if you want to install the app. 9. Tap on install to start installing the app. 10. Once the installation is complete, you can run the application. To launch the app, look for the Megabox app icon on the home screen or the menu. Tap on the icon to run the app. 11. When you run the app for the first time, you will encounter an error message saying “Üntrusted Publisher”. 12. Don’t worry! As the app is from a third party publisher, your iOS device needs to trust it. 13. To trust the publisher, go to Settings on your iOS device. Under Settings, go to the General Section. Under General, look for Profile and Device Management. 14. Look for the mention of Megabox in the list and tap on Trust twice. Now go back and run the application. 15. Choose from the endless collection of movies and tv serials and start enjoying the unparalleled entertainment experience. Watching HD quality content, movies and videos free of cost have become possible with Megabox. This app is a must-have for movie and sitcom lovers. Get Megabox for your iOS device today and enter the world of endless entertainment.